First click here and then come back and let’s talk for a minute. While visiting Jean-François’ site, be sure to actually click on one of the entries from his 166 day, 3200km (2000 mile) pilgrimage in 2008. 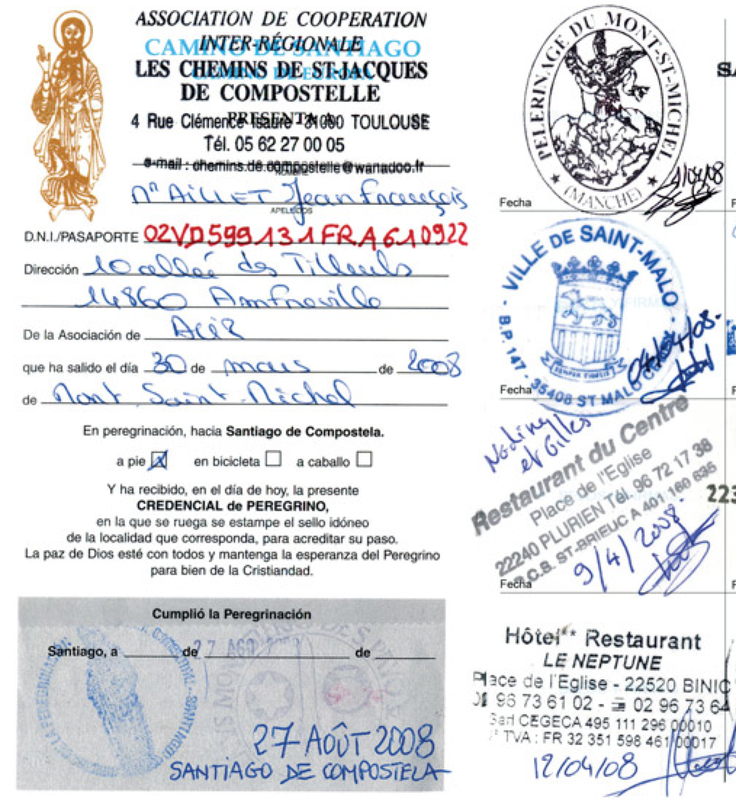 His pilgrim passport (credential) is completely interactive, a work of artistry, dedication, and reverence for the chemin de compostelle. Every camino’s daily stamp brings you to information about that day’s site or a journal entry. Exquisite. Our dreams for our blogs are as similar as our dreams for our children and, generally speaking, there is little point in sharing them. But this week a comment was posted – in French – on one of the earliest photos of the week that I’ve collected. Jean-François commented that he was so moved by this image he was going to carry it on his backpack on his next Camino. I am ALWAYS delighted to get any kind of response from you, and I am tickled when I can see users clicking through them historically. But this response really got to me and after I went to JFA’s site, I realized it was the first time that my dream for this site had actually come true in a small way. 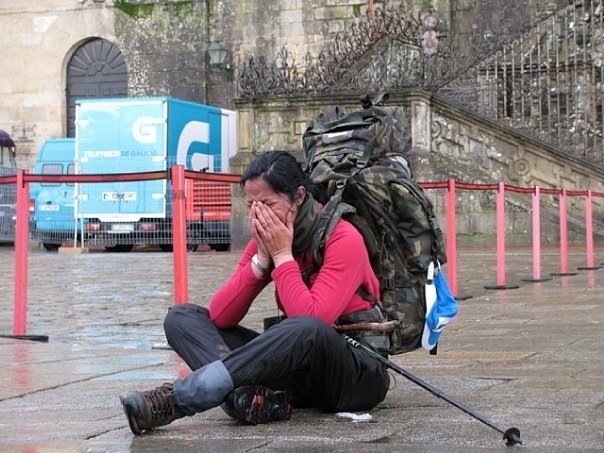 You see, I wanted to create a site about the Camino where I could bring the beautiful people and places on the Camino to others – but also, selfishly, to have them come to me. I wanted to park myself along the way and be reminded through comments, submissions and interactions of what a profound life experience it was – and is – to walk it. And this week, for the very first time, somebody wandered into my virtual albuerge and brought me my next week’s entry. It took off its boots and walked in my door. JFA’s site is an archivist’s labor of love. (Check out the stack of diaries.) It is beautifully written (you’ll need to speak French, hélas) and its design is impeccable. Its images tell the story of the walk, the people and the passion behind the people who come to experience it. You will NOT need to speak French to get that. Pay him a visit, and then come back and share your camino with me.